No, it’s not the Millennium. But it’s just as good for media numerologists who, frankly, have little else to write about at the new year. In case you didn’t notice, it’s 2011. January 1 was 1-1-11, which is numerologically pretty cool and a prime number, too. 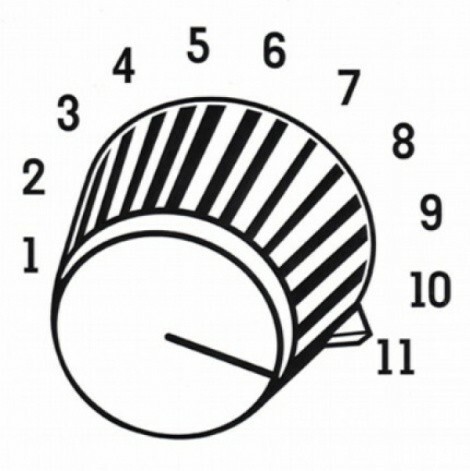 Watch out, because Jan. 11 is coming up: 1-11-11. And, just wait until November: 11-11-11. In the year-end numbers frenzy, you also got to read about what happened in the past “decade.” But if you start at 2000 (the disputable Millennium), then voila, the end of the decade was Dec. 31, 2009. Meaningful or not, people seem to like nice, round numbers, counting in 10s. Food purists have long avoided the porous strawberry unless proven organic, but let’s face it: Consumers seem just fine buying conventional varieties. In fact, it’s not the consumers who are really at risk from pesticide use, it’s the field hands and “downwinders.” Now the California Department of Pesticide Regulation has approved the use of methyl iodide for strawberry farmers. That’s because they can’t use methyl bromide anymore since it was banned by the United Nations for punching holes in the ozone layer. Methyl iodide doesn’t do that, but, as a departmental scientific panel concluded unanimously, it could be more toxic. “It is my personal opinion that this decision will result in serious harm to California citizens, and most especially to children,” wrote panel member Theodore Slotkin, a professor of pharmacology and cancer biology at Duke University. Well, who listens to scientists anymore? Local Republican policy wonks were no doubt thrilled with Paul Rolly’s Jan. 2 column in The Salt Lake Tribune. The perpetual, if not interminable, issue surrounding state GOP bylaws and delegate lists has surfaced again, if only to emphasize the cliquishness of the Utah Republican Party. Didn’t you know that the party is run by, ahem, “insiders?” Now that Party Chair Dave Hansen has resigned, a chair will be chosen by the Central Committee on Jan. 22 to finish out his term. While a Salt Lake County guy named Thomas Wright is the presumed favorite, Utah County challenger Dave Duncan seems to have aligned himself with party pariahs Mike Ridgway and Nancy Lord. They’re the ones who’ve made life miserable for party officials who see them as browbeating dissidents. But hey, they get what they want: in this case the delegate lists—and media hype.